Can Dogs Eat Buckwheat and Is Buckwheat Good for Dogs? Home Dog Food Can Dogs Eat Buckwheat? A very popular health food in many countries, buckwheat is starting to take off in the US as well due to its high amount of nutrients, minerals and antioxidants. Despite its name, it's not related to wheat and is gluten-free. But can dogs eat buckwheat, and is buckwheat good for dogs to consume? If you've been wondering, “can I give my dog buckwheat,” the answer is YES – you can give buckwheat to dogs as long as you prepare it right. Be sure to cook the seeds thoroughly and puree them into an easily digestible meal. Buckwheat can be added to your dog’s regular meals or used as a base for homemade dog treats. 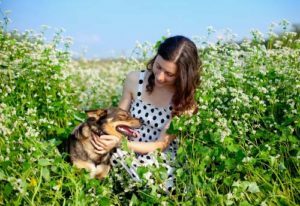 In this article, we'll take a closer look at what is buckwheat, can dogs eat buckwheat without any consequences, and what are the health benefits and side effects of it. ALSO READ: Can Dogs Eat Blueberries? Buckwheat is a type of seed that's been used in human foods for centuries, primarily because of its variety of nutritional content. It can often be found as a staple in many modern foods, such as pancakes, and as a substitute for gluten-heavy pasta and rice. Adding buckwheat to your diet can help you stay fit, trim, and healthy. Buckwheat belongs to a group of food referred to as pseudocereals, because it's consumed as normal cereal grains but it doesn't grow on grasses. This seed is considered a superfood full of essential vitamins and nutrients for people and dogs. Despite its name, buckwheat isn’t a wheat or grain at all. It is a triangle-shaped seed that packs a potent nutritional punch being high in protein, lysine, and amino acids. It’s also an excellent source of resistant starch and soluble fiber. It may be a useful tool to alleviate constipation, hypertension, and obesity. RELATED: Can Dogs Eat Bologna Meat? So can dogs eat buckwheat just as humans can? Yes, absolutely. Once you thoroughly cook it, you can add it to your dog's homemade meal or even commercial dog food (both wet and dry foods) to increase the meal's nutritional profile. So is buckwheat good for dogs? 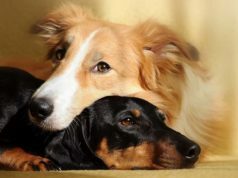 Yes, it is – given the fact that it's not toxic or harmful to dogs once prepared, you can see that there are many reasons to include it in your pet's diet. RELATED: Can Dogs Eat Tofu? Here are five more benefits of giving buckwheat for dogs that may specifically apply to your canine. 1. Buckwheat is a fiber powerhouse. The significant amount of soluble fiber in buckwheat helps to slow down glucose absorption, which is especially important for diabetic dogs, and normalizes the digestive tract. Fiber also protects the stomach from oxidative damage caused by free radicals, thereby preventing infections and cancer. 2. Buckwheat seeds promote colon health. Buckwheat is a source of resistant starch which escapes digestion in the small intestine. This type of starch possesses both soluble and insoluble fibers. The majority of buckwheat is highly digestible, but its small amount of resistant starch can encourage colon health. 3. The high protein levels in buckwheat improve dog’s overall health. Buckwheat contains more protein than traditional grains like rice, corn, or wheat. Proteins are essential for canine health as it impacts organ function, substance synthesis, digestive processes, and the breakdown of waste products. 4. Buckwheat is full of critical minerals and vitamins. 5. Buckwheat is naturally gluten-free and perfect for grain-sensitive canines. If your dog suffers from food allergies or needs to avoid gluten in his food, then buckwheat might be what you’re looking for. These seeds are naturally gluten-free making it easier to digest for dogs who are gluten and allergen-sensitive. So, can dogs eat buckwheat safely? Dogs can eat buckwheat without any issues when it's prepared right and given in moderation. There are no side effects of feeding cooked buckwheat itself to dogs as part of their occasional meal. In fact, it may be even advisable to add some to their diet. With the above in mind, is buckwheat good for dogs? It is, but you must be careful with too much buckwheat or not preparing it right, just like with any other human food you give to dogs. While buckwheat seeds are safe for dogs, there are some considerations to take into account before including them in your dog’s diet. 1. Store-bought buckwheat may contain unhealthy additives. Be sure to purchase certified organic buckwheat and cook it at home before feeding it to your dog. Many commercial forms of buckwheat include added sugars and other processed additives that can be harmful to your dog. If you purchase buckwheat in soba noodle form, make sure what you buy is 100% buckwheat as some noodles are part buckwheat and part wheat, which can be problematic for dogs with allergies to grains. 2. Buckwheat may cause allergies in some dogs. Even though it’s a seed and not a grain, there may be some dogs who develop acute sensitivities to buckwheat. Symptoms of food allergies may include frequent itching, rashes, and nausea. 3. These seeds can cause gastrointestinal distress. As with any new food, make sure you cook buckwheat thoroughly and slowly introduce it into your dog’s diet. Buckwheat contains a significant amount of fiber, and if your dog is unaccustomed to having that much fiber in his diet, he may become gassy and suffer from stomach pains and diarrhea. 4. Too much buckwheat may result in weight gain. Don’t overdo the amount of buckwheat fed to your dog as buckwheat flour has lots of calories in it. Too much over an extended period may result in your dog gaining weight or becoming obese. Beware of the buckwheat plant. Buckwheat seeds are healthy and harmless for the majority of dogs. However, the buckwheat plant in itself is not. The actual plant, part of the Polygonaceae family, contains fagopyrin, a substance that is toxic to dogs. Allow your dog to eat buckwheat seeds, but steer him clear from the plant itself. So, can dogs eat buckwheat? Given all the above, the answer is yes – your dog can safely eat buckwheat in moderate amounts. Make sure you prepare buckwheat properly and add it into your dog's meal or even kibble to spike the nutritional content. The seeds of buckwheat are highly nutritious with many necessary vitamins and minerals for proper, healthy body function. Buckwheat can be especially helpful for dogs who are allergic to grains, although moderation is ultimately key to ensure your dog reaps the full benefits of these seeds. Stay away from the buckwheat plant, however. The plant itself is toxic to dogs.